Make your airport parking reservation immediately with no cost, no paypal, free cancelling, no extra charges, easily, convenient. After 5th day only 2 Euro a day. Express – Air Parking nearby Athens El Venizelos Airport is the most prefered offering a variety of customized parking services. In order to make arrangements or check our pricelist please klik on the next picture. Our customer service team is available through email or Call center to assist you. Free pick up service in less than 5 min. Fleet in best condition and crew well trained and experienced. 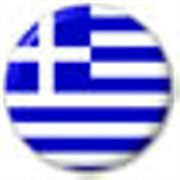 Airport Parking El Venizelos was your search? Express – Air Parking nearby Athens El Venizelos Airport is the most prefered offering a variety of customized parking services. For a parking program for less do not hessitate to call us or make an online arrangement. In less than 20 seconds our well trained and experienced team will be informed and immediately will contact you in case of emergency or you need an airport transfer in no time. We offer a completed pick up service in less than 5 min. Trust us and be amongst more than 300.000 customers. Value our service and come again. We continiously extend our boundaries in research of new ideas to make your world better, more comfortable and safe. Why do people prefer our services? Express Airport Parking 3 min away from the El Venizelos Airport offers a variety of services. 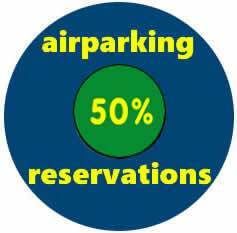 Our nearby El Venizelos parking offers an advanced economy airport parking program beating the competition. Guarrantee your parking spot by booking in advance. Can’t make it? Cancellation is free. Travel worry free knowing your care is safe and sound. 8 Km Markopoulou - Paiania Av.